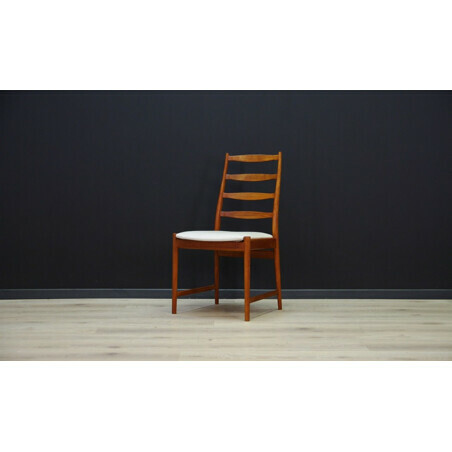 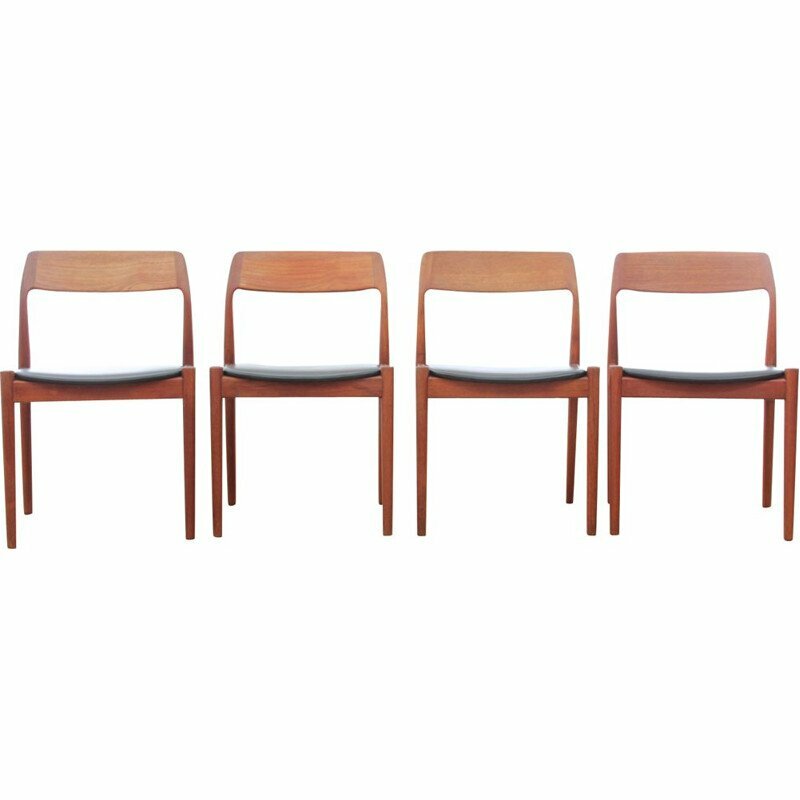 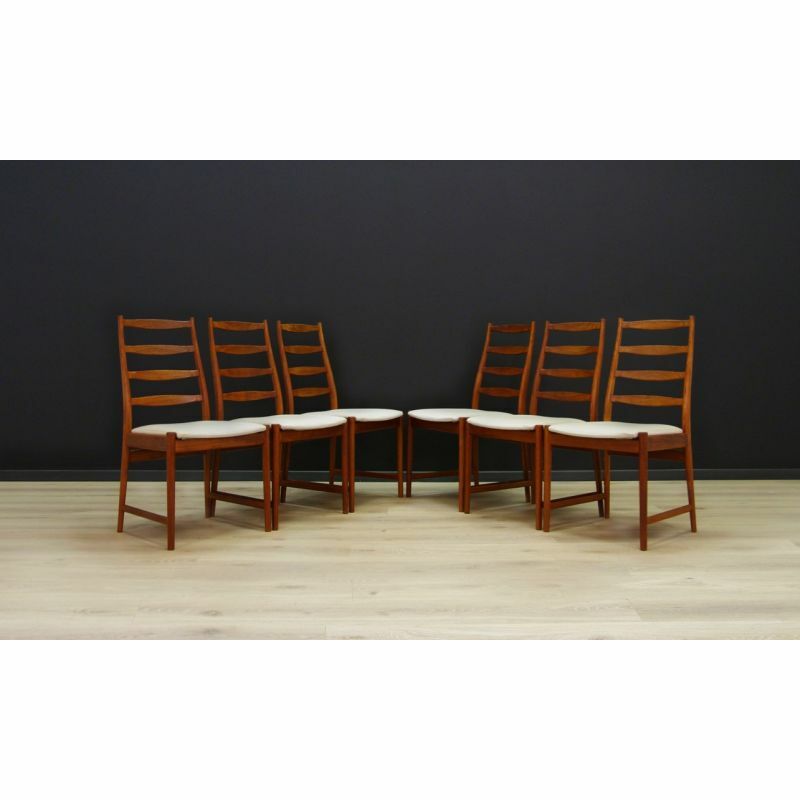 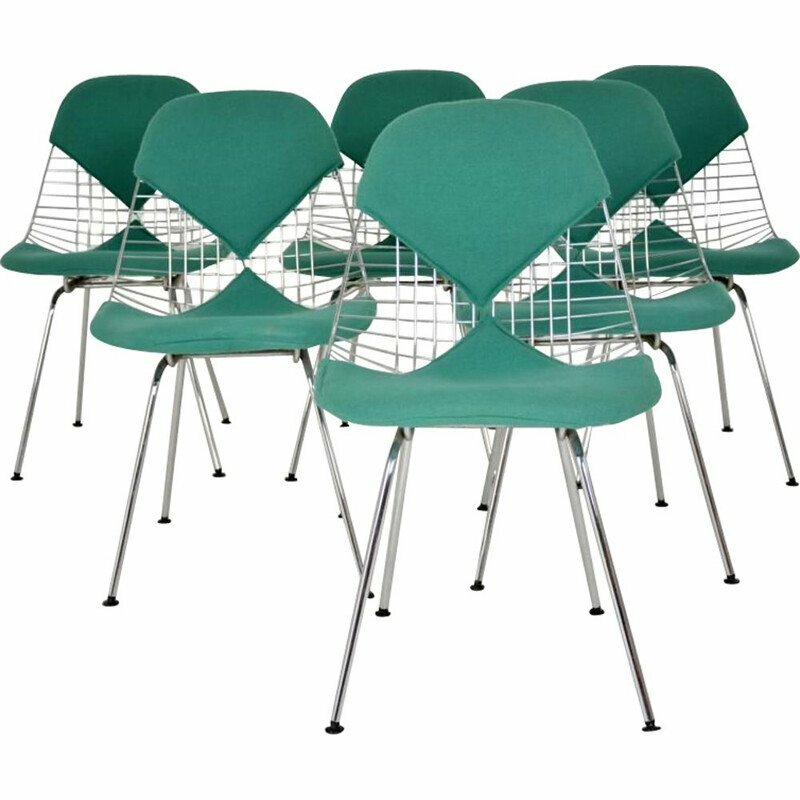 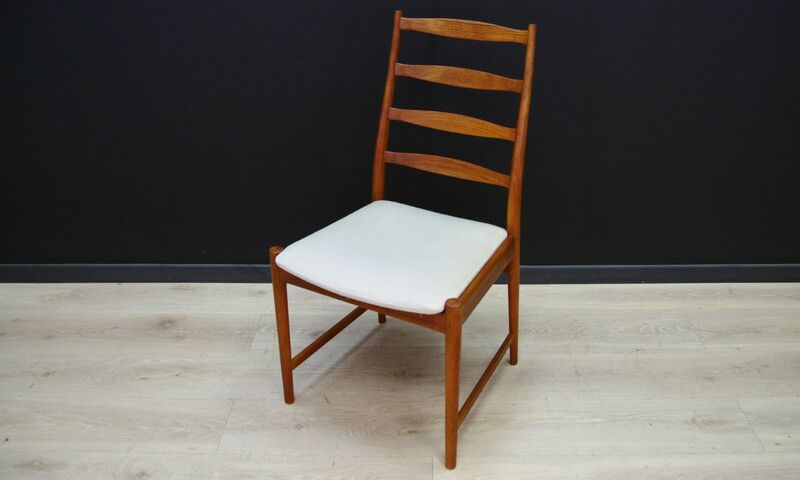 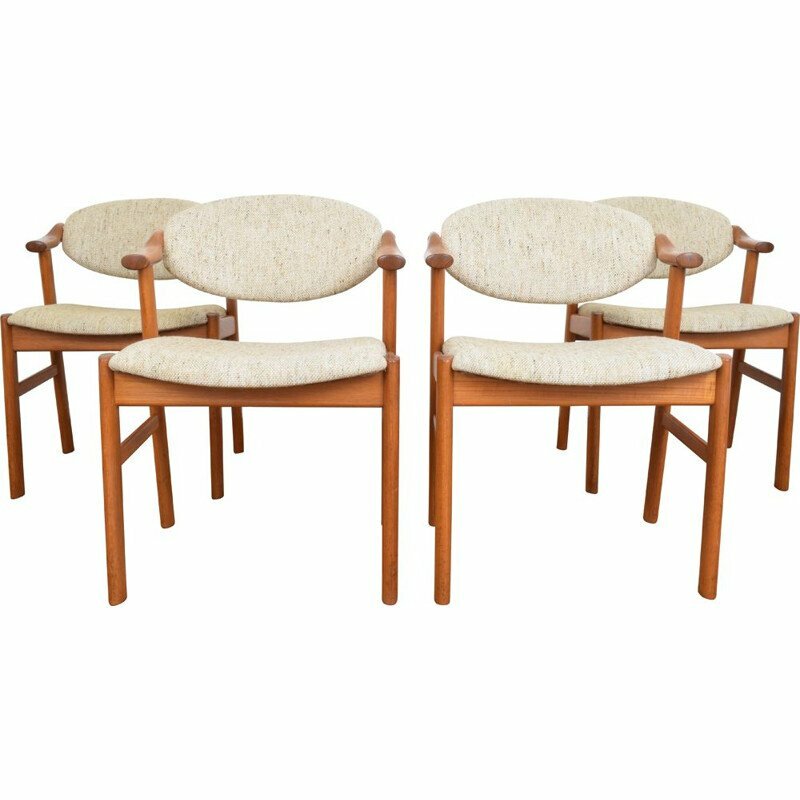 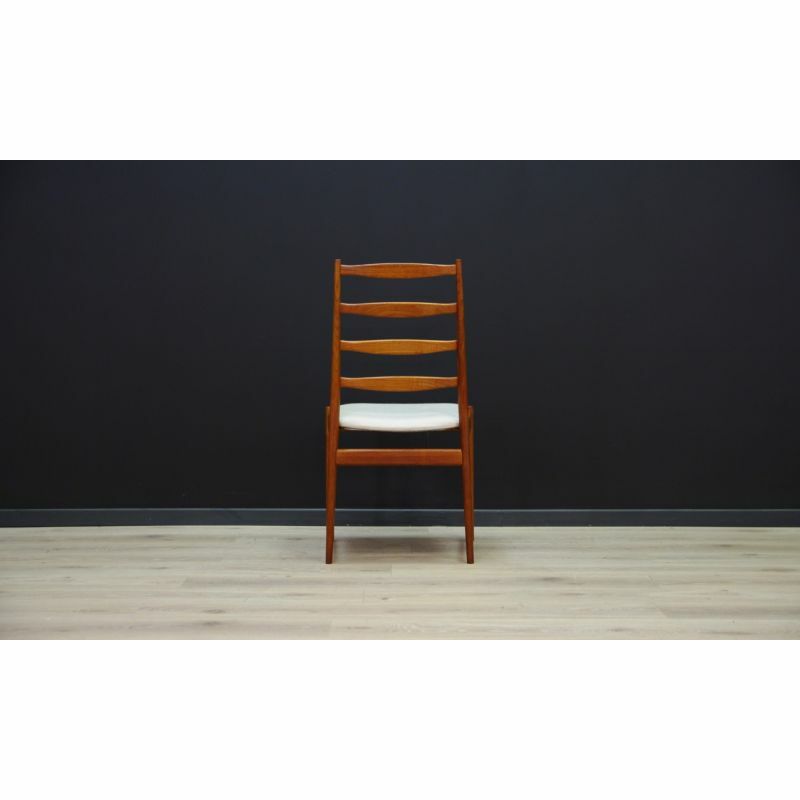 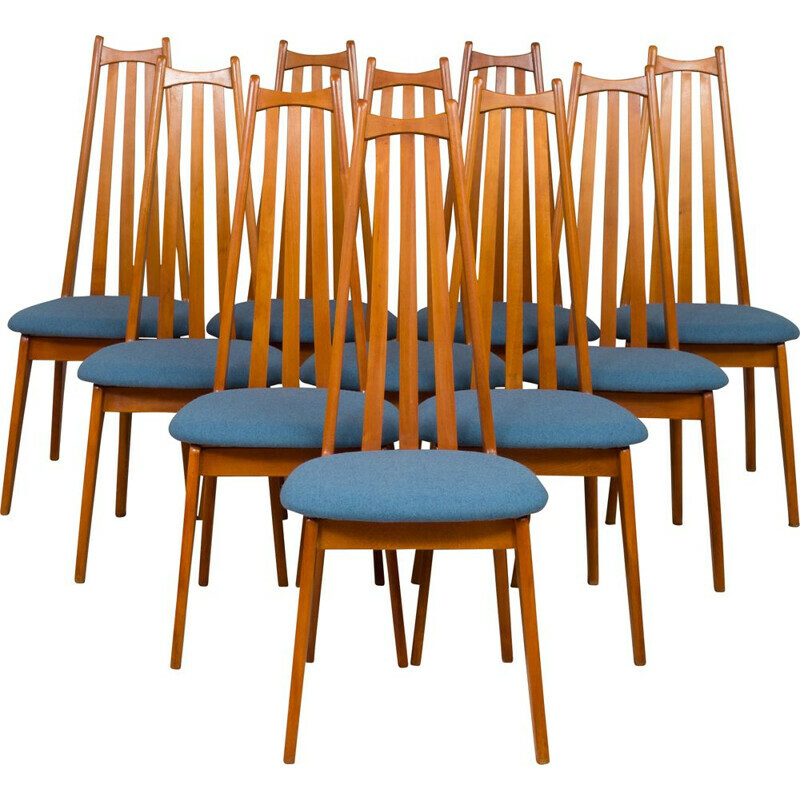 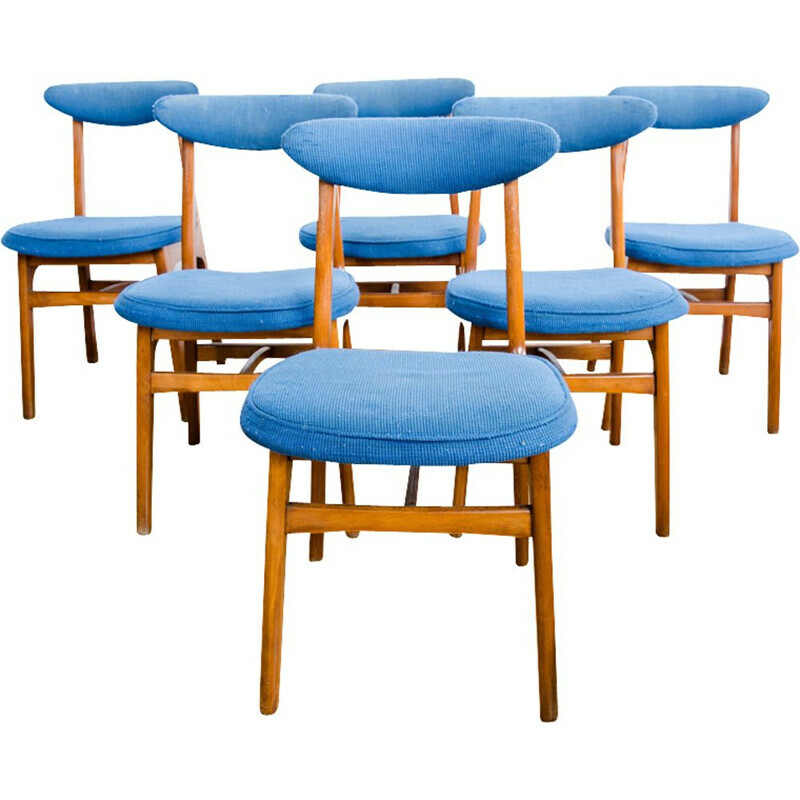 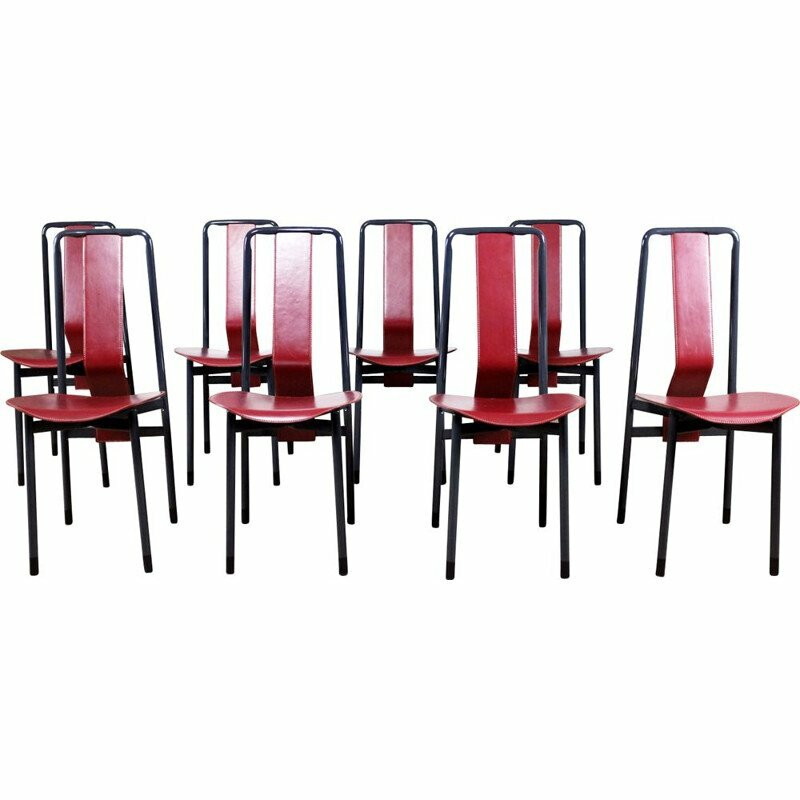 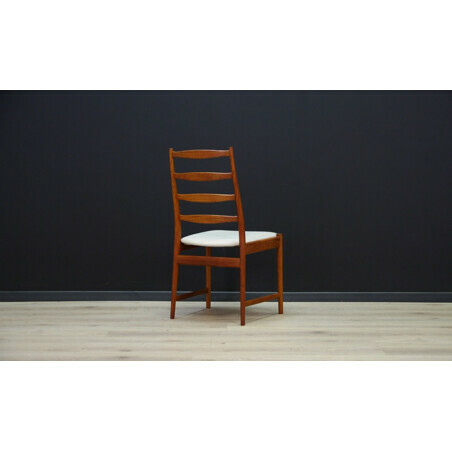 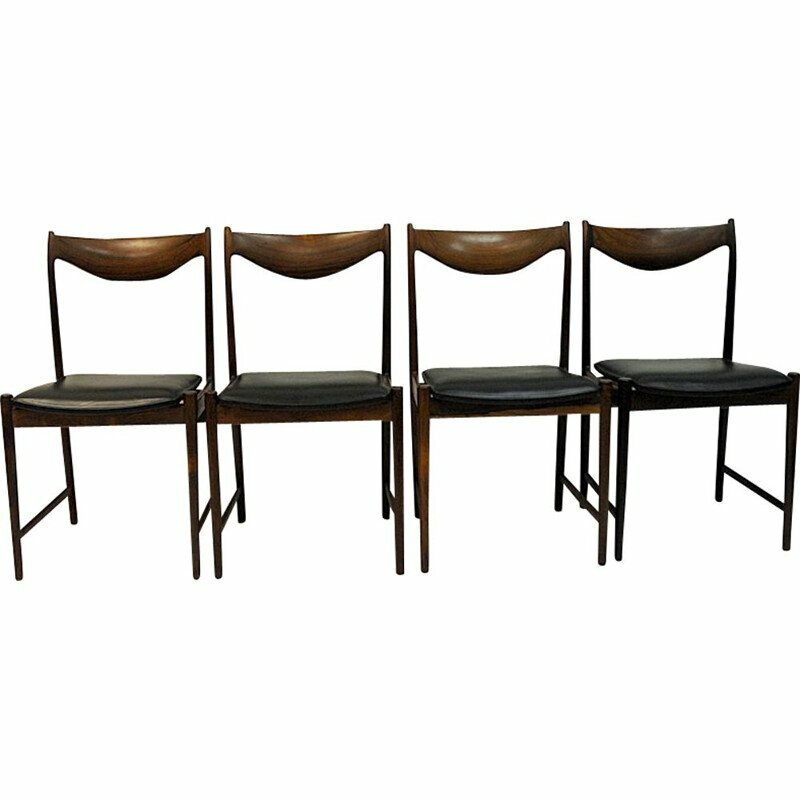 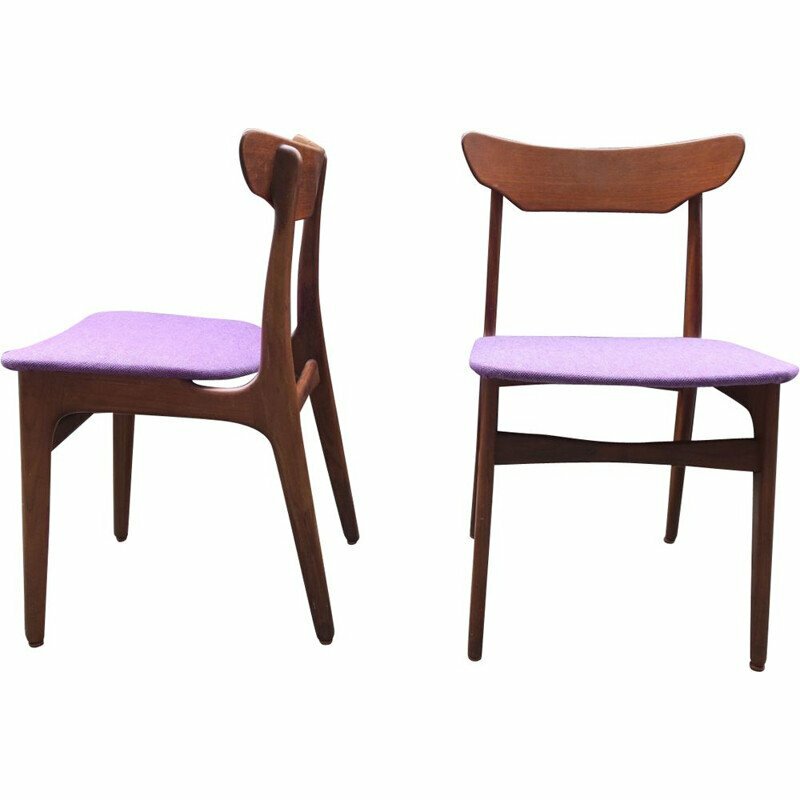 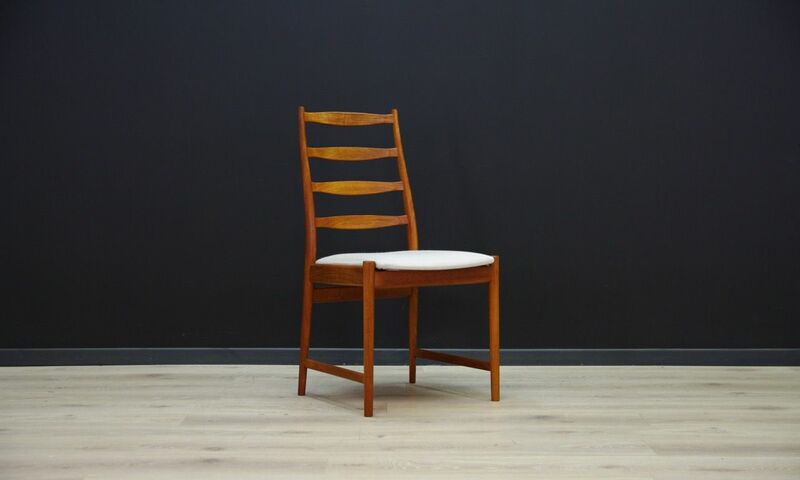 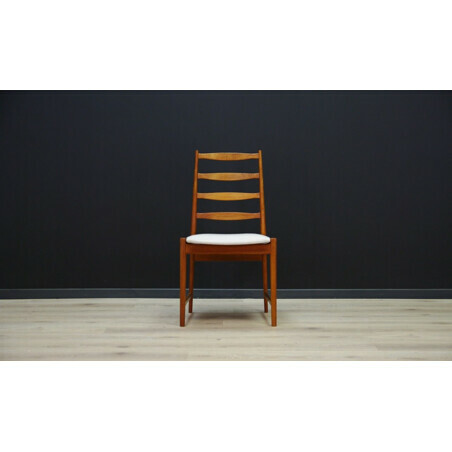 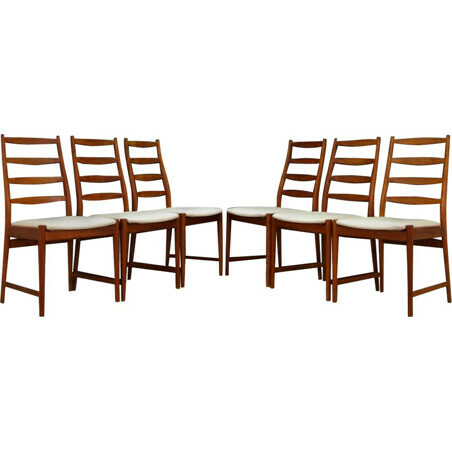 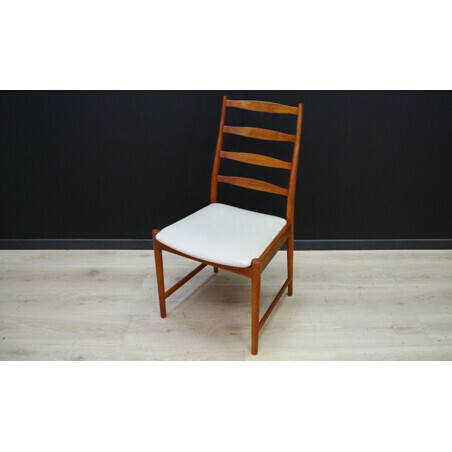 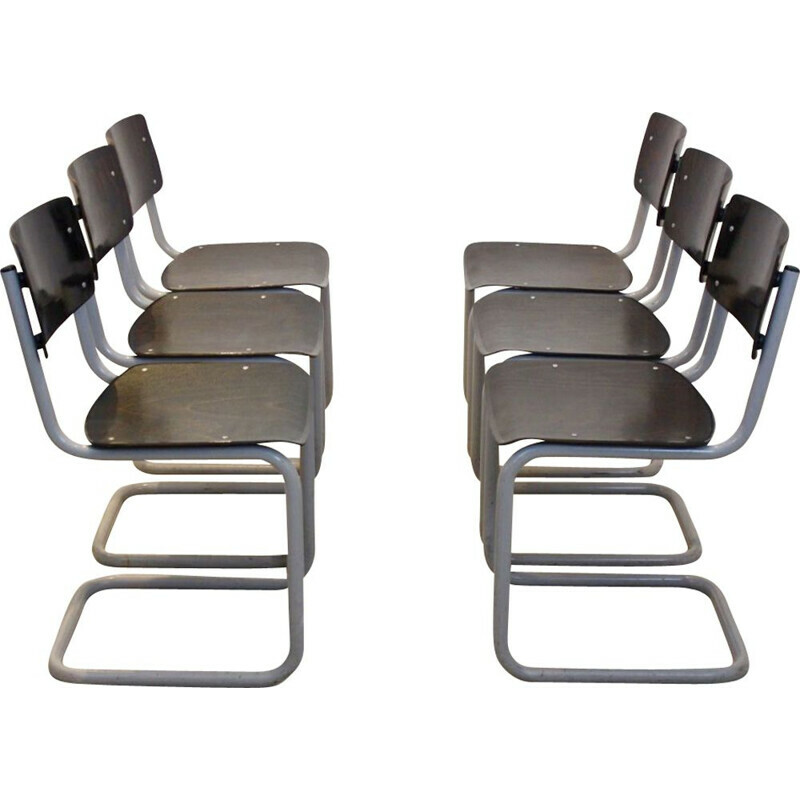 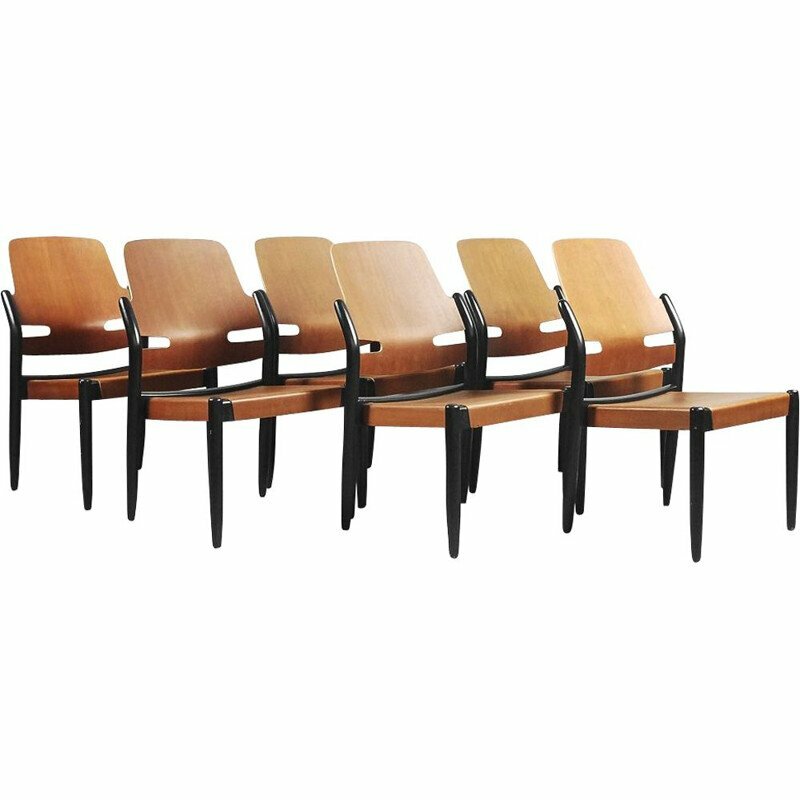 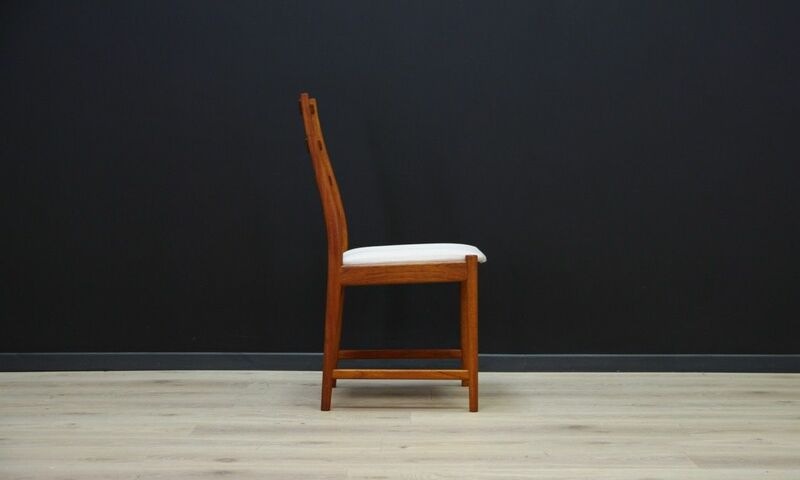 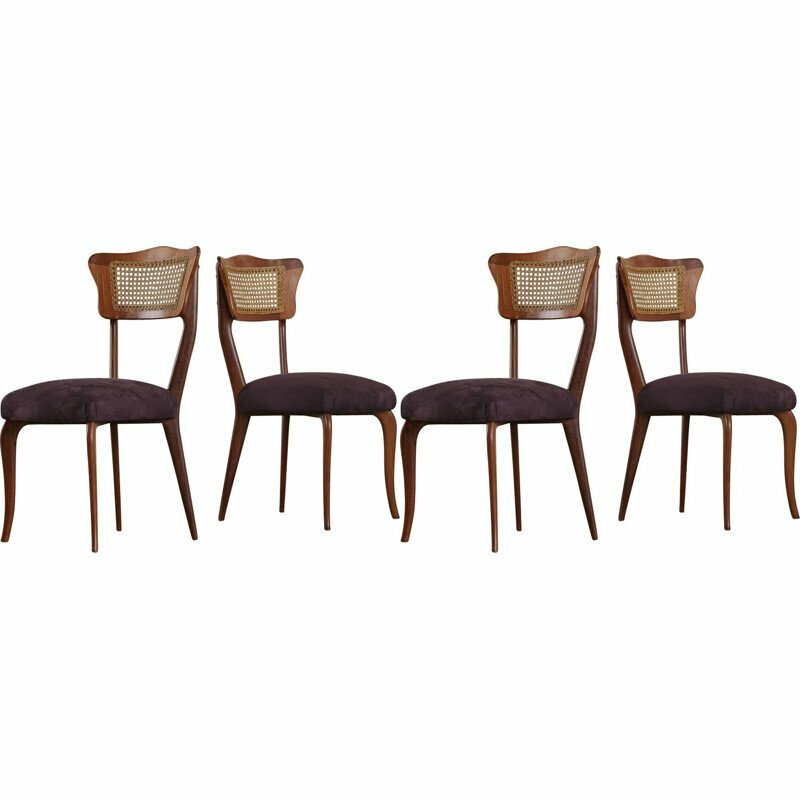 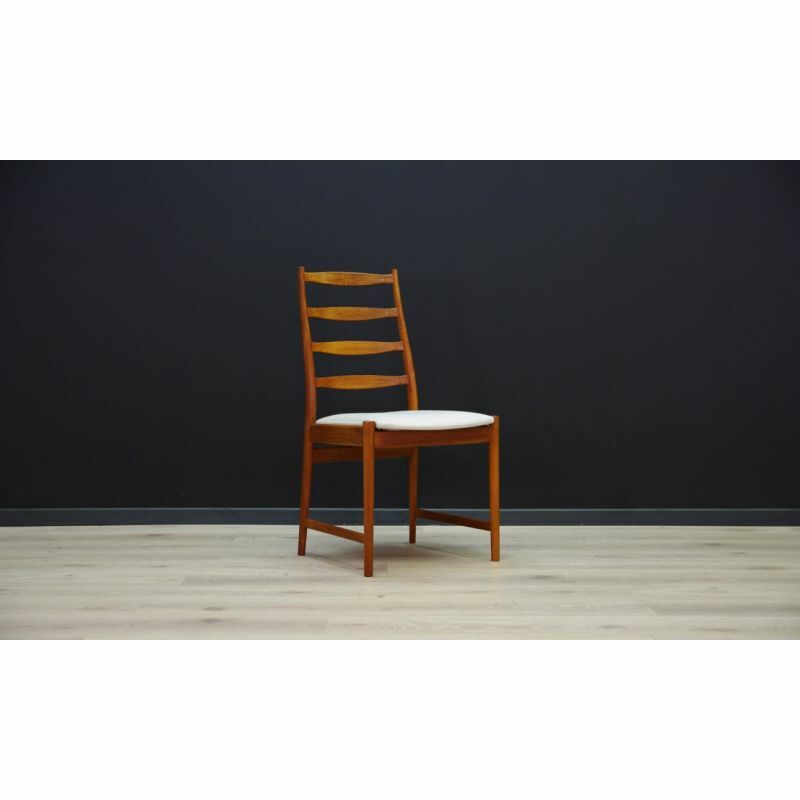 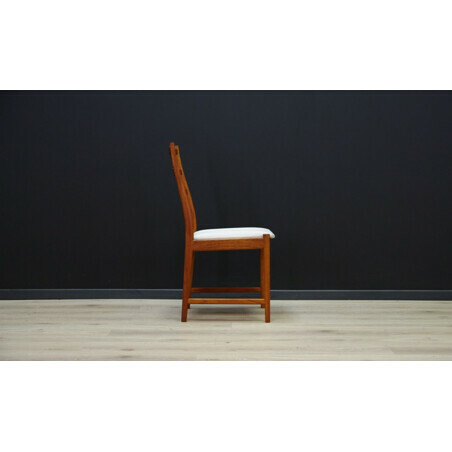 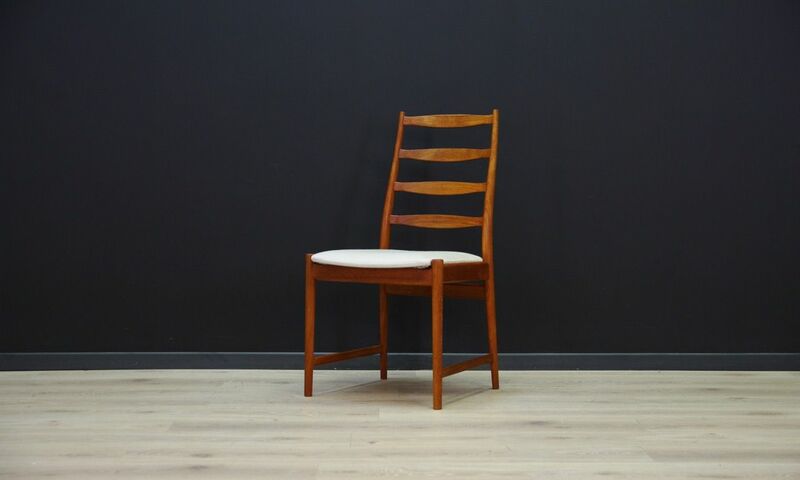 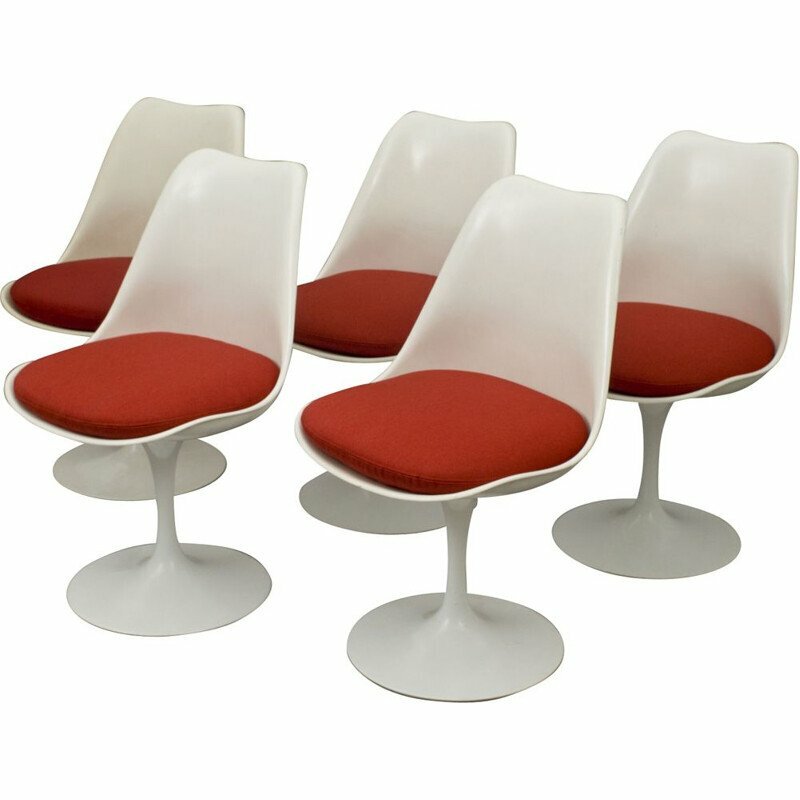 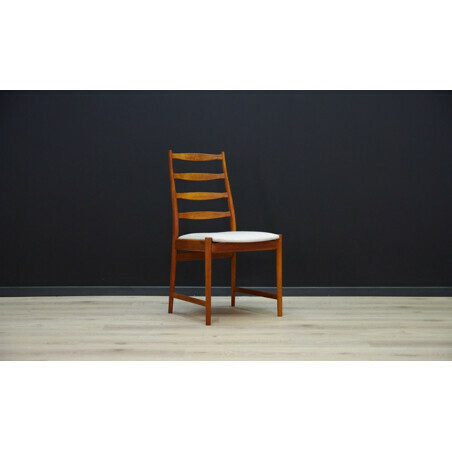 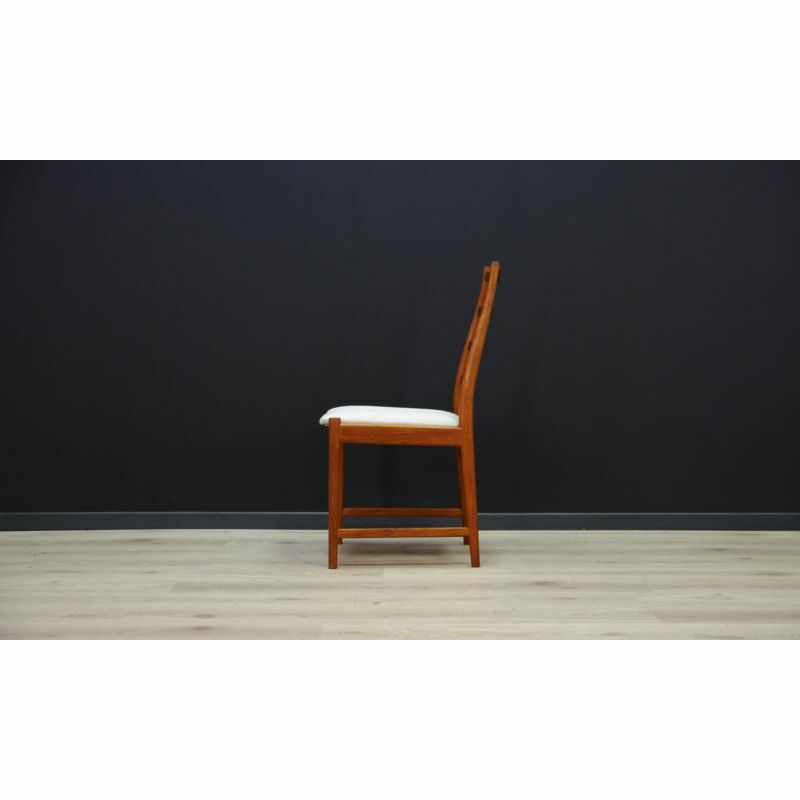 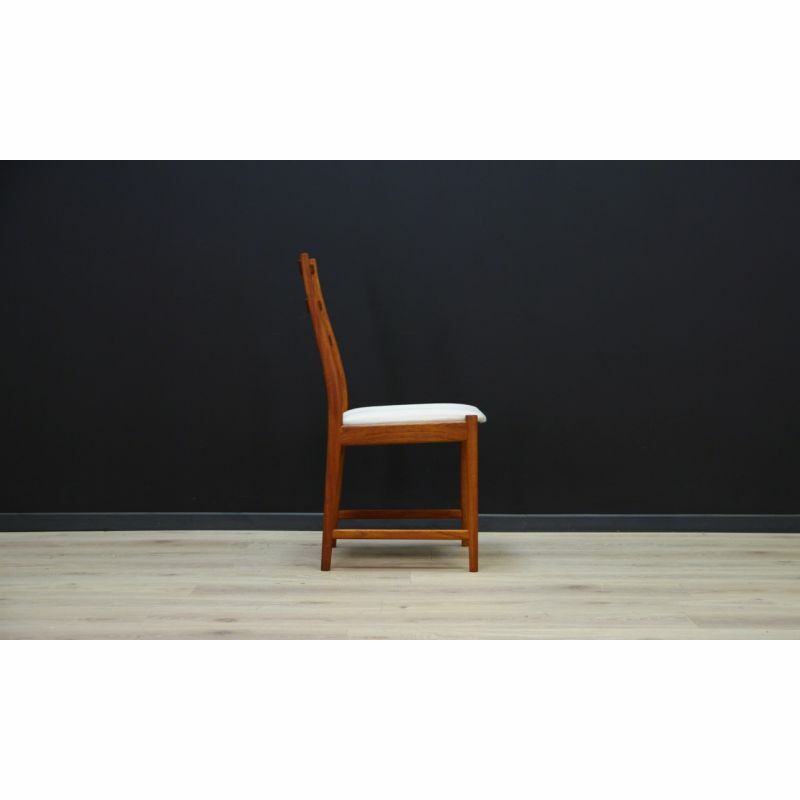 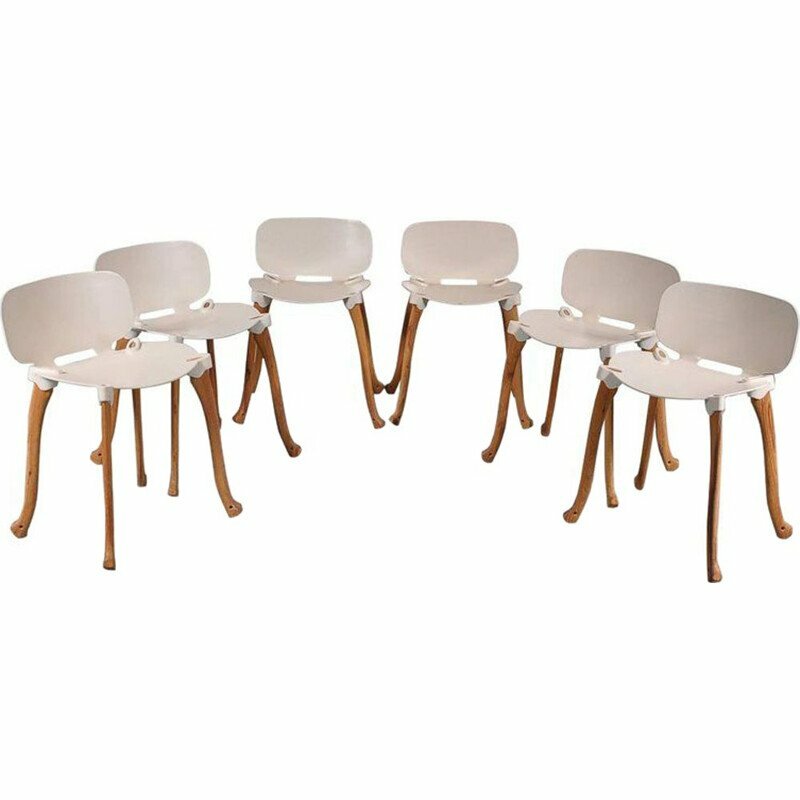 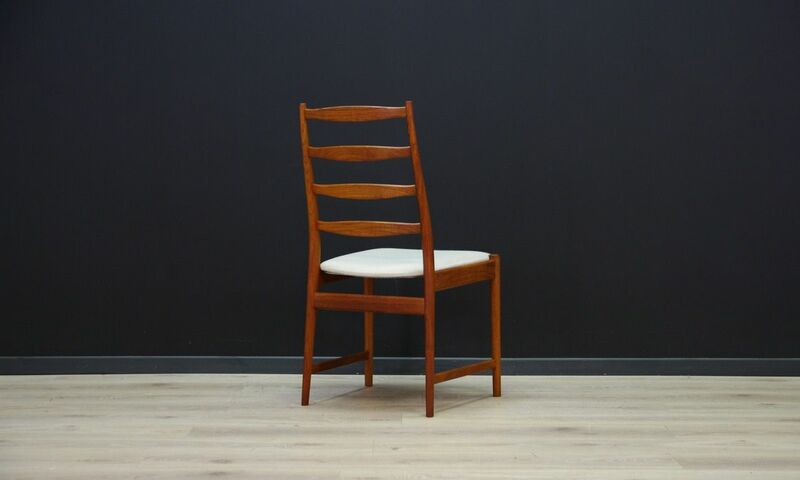 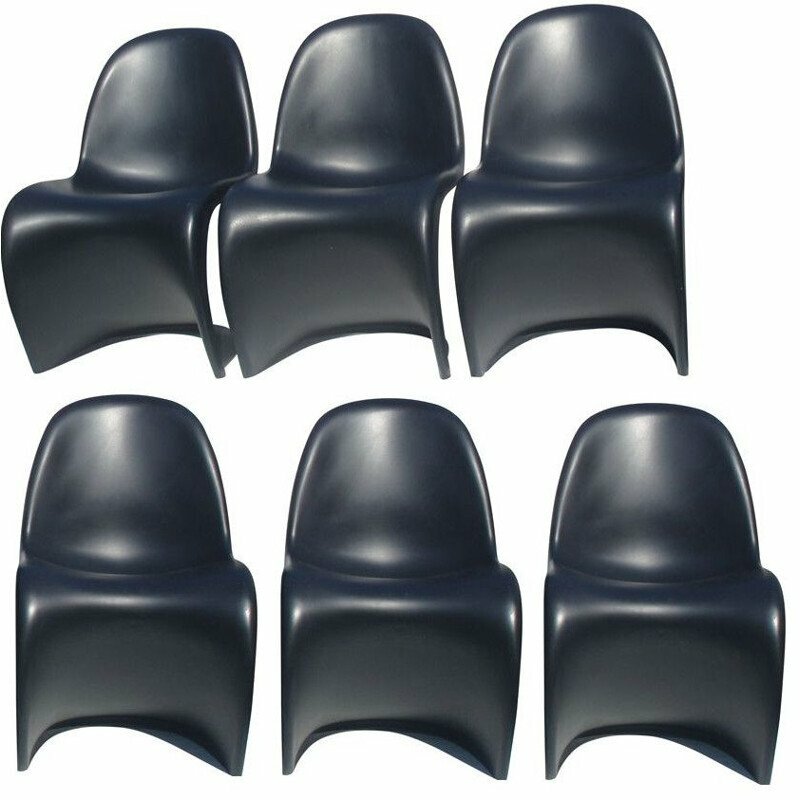 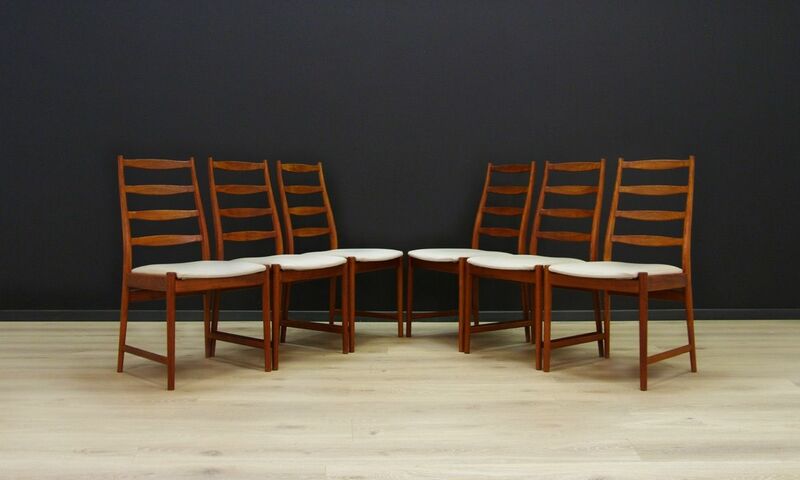 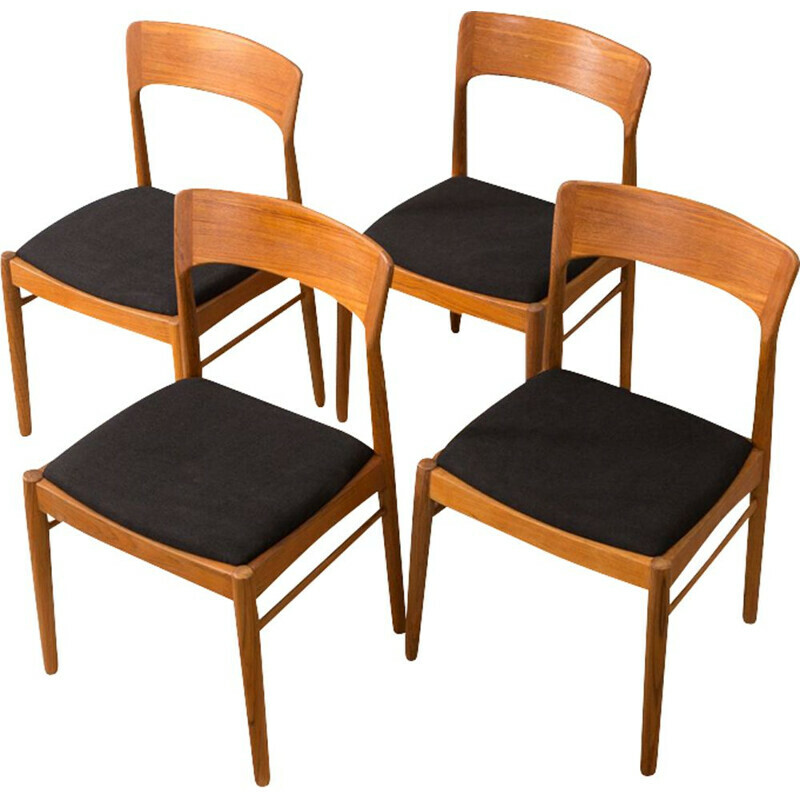 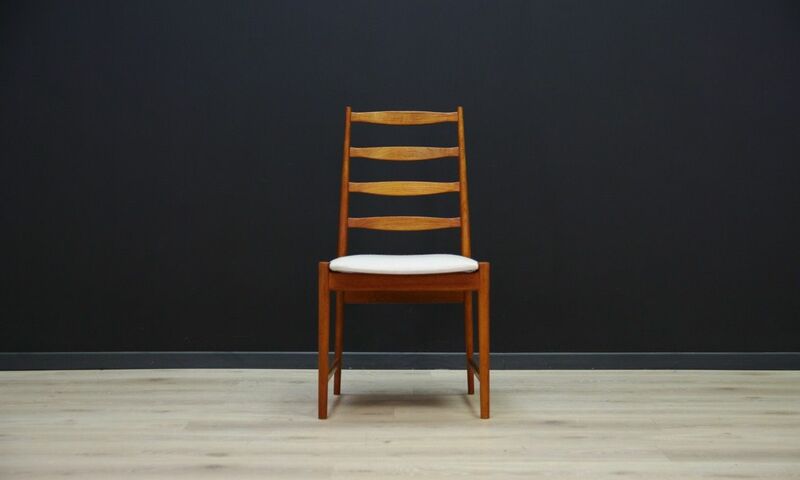 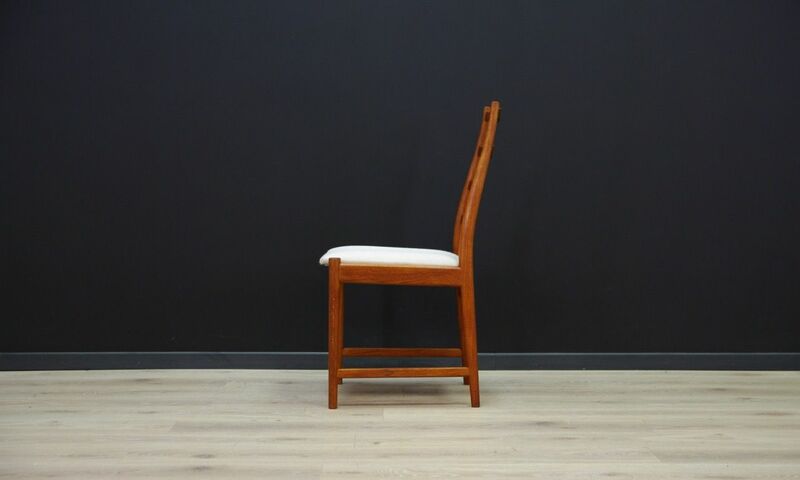 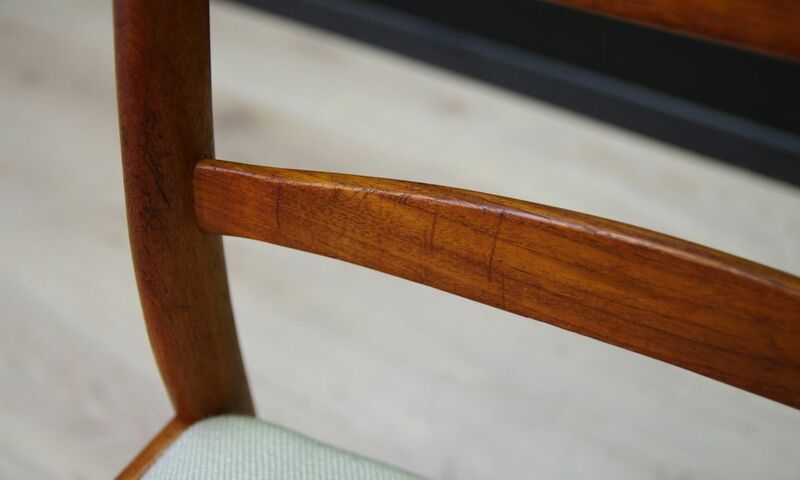 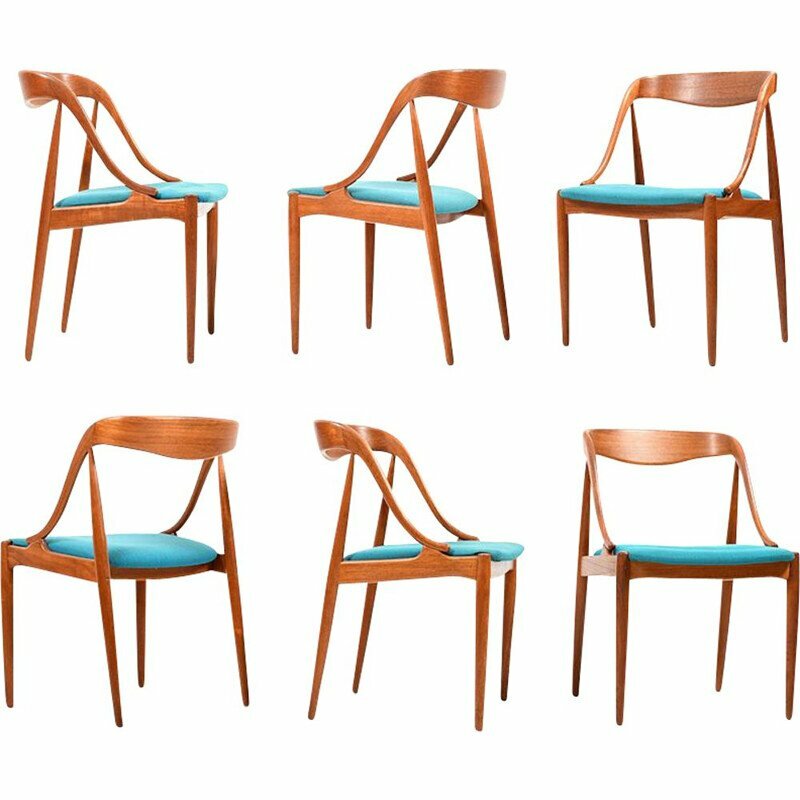 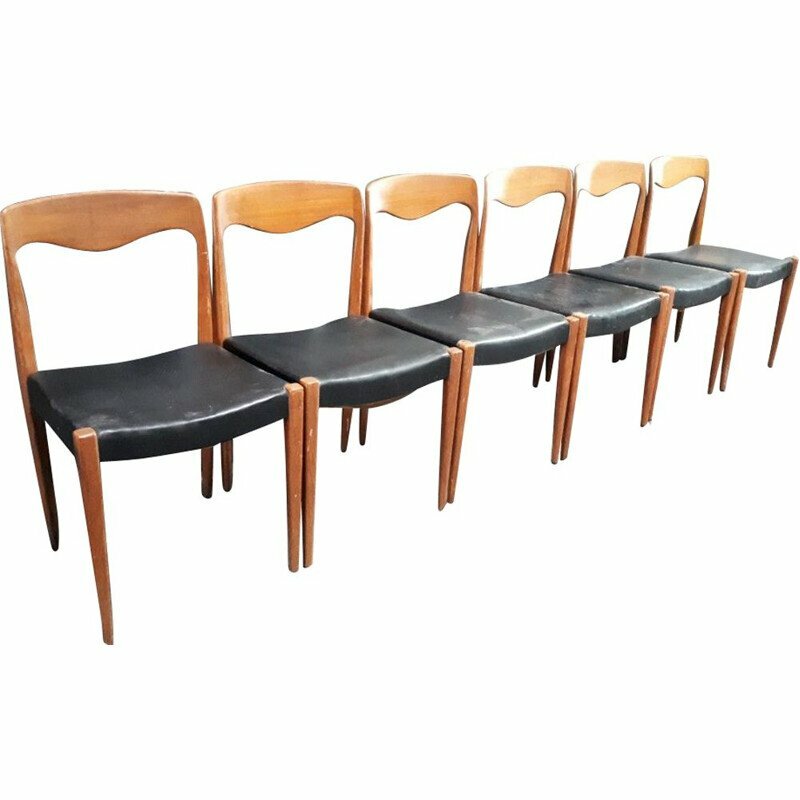 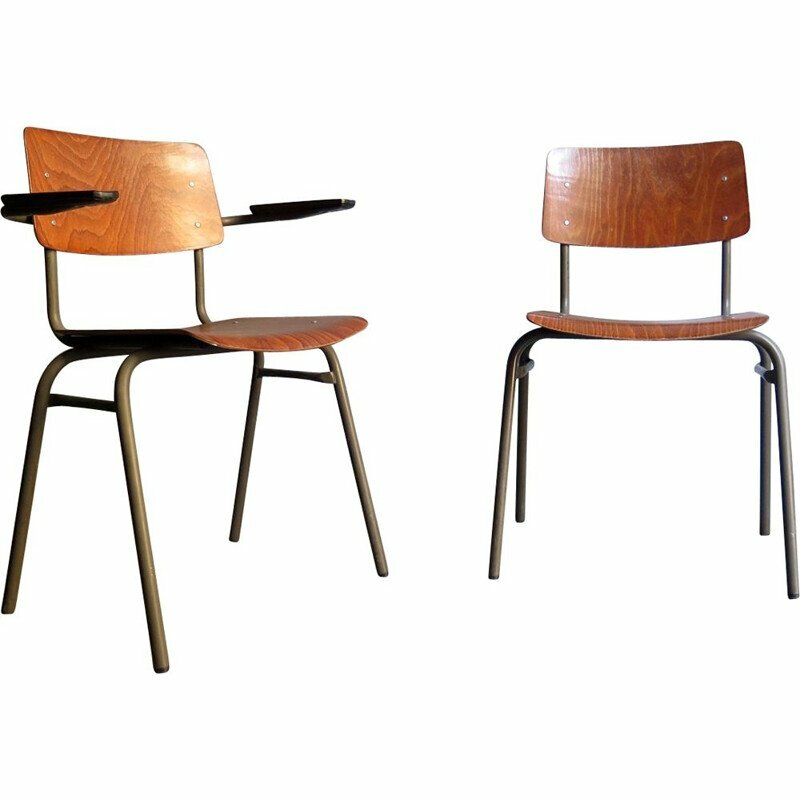 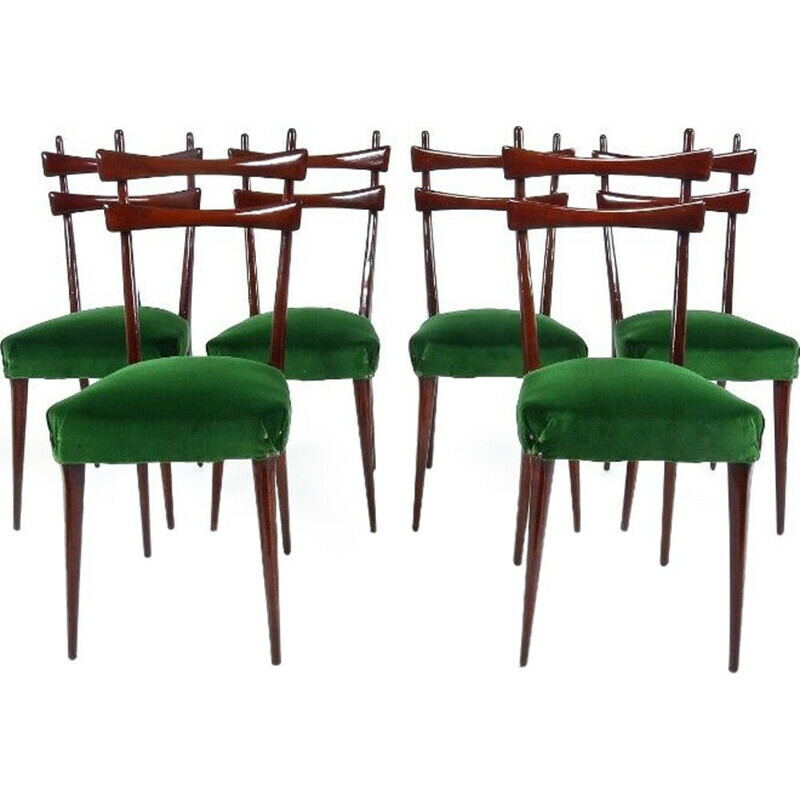 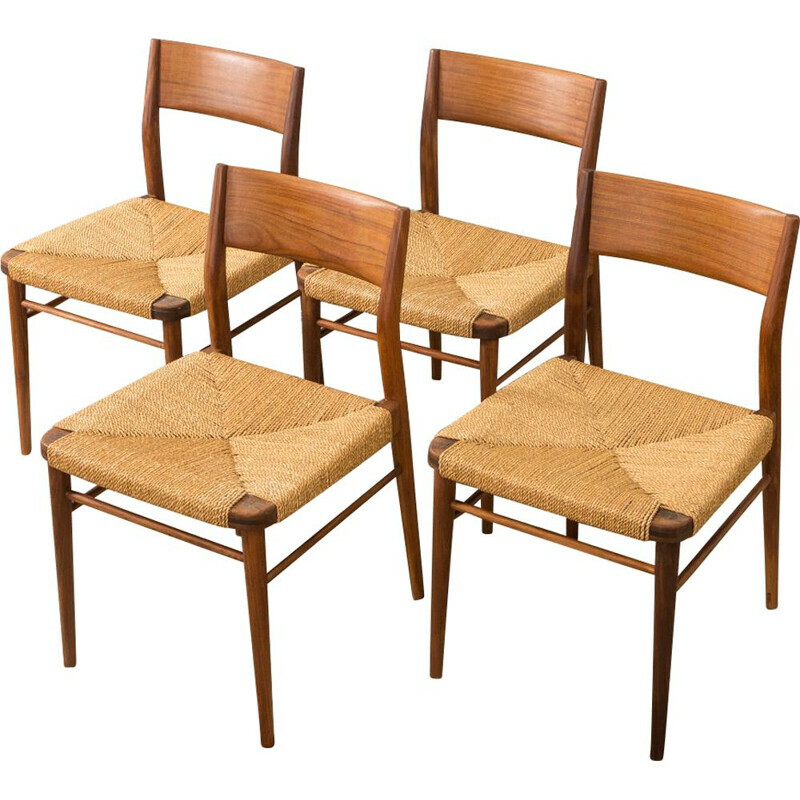 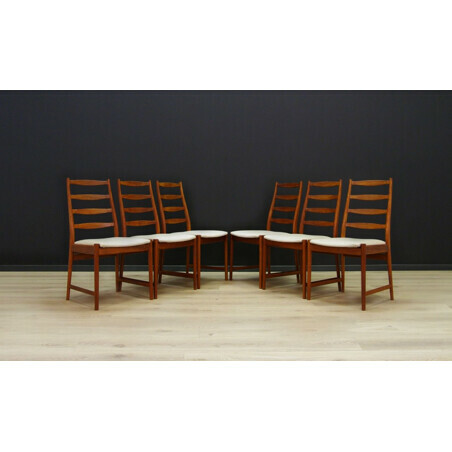 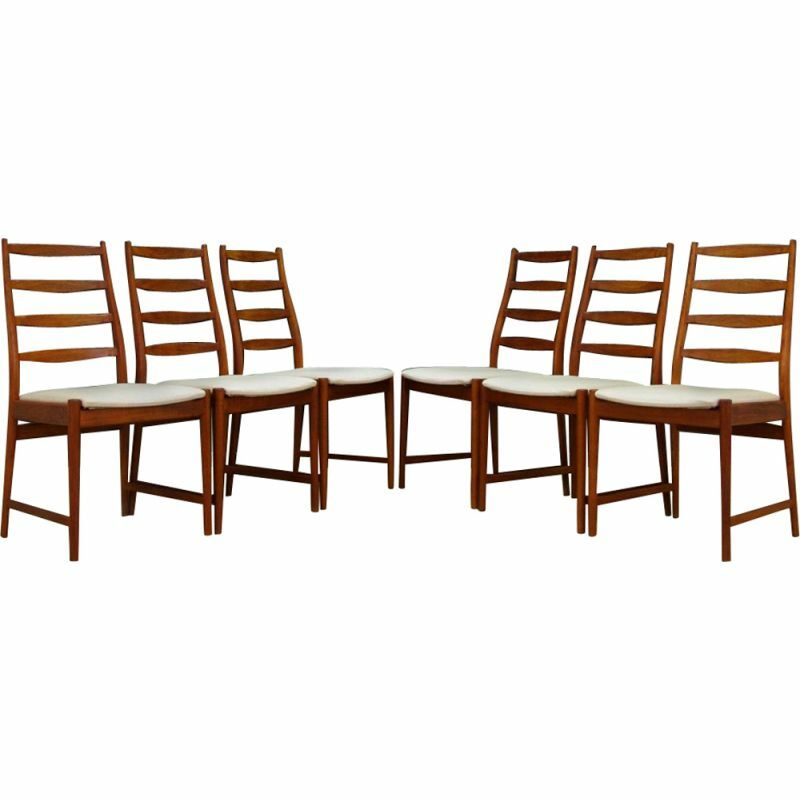 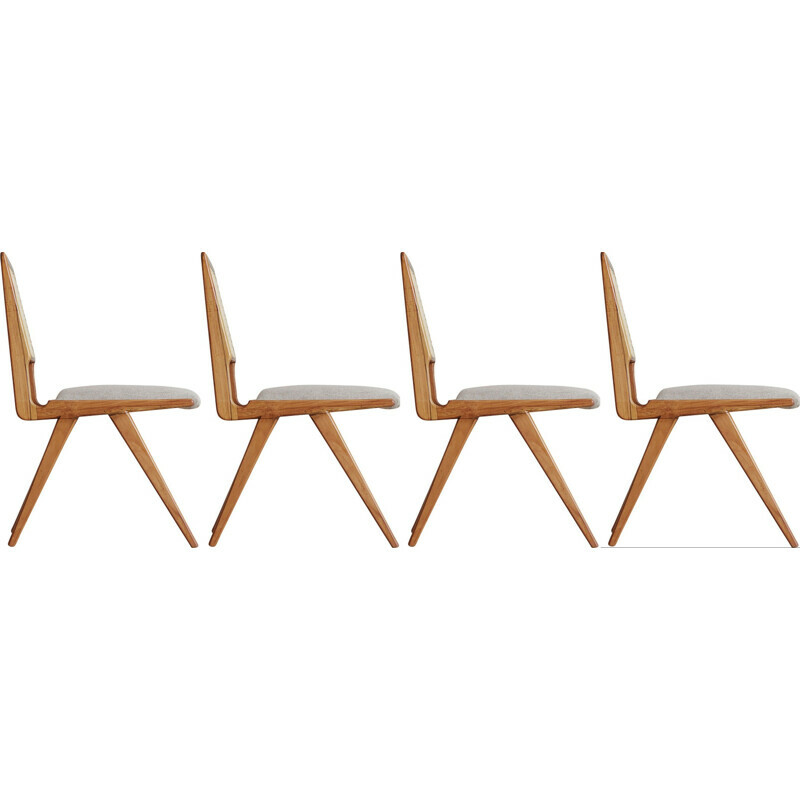 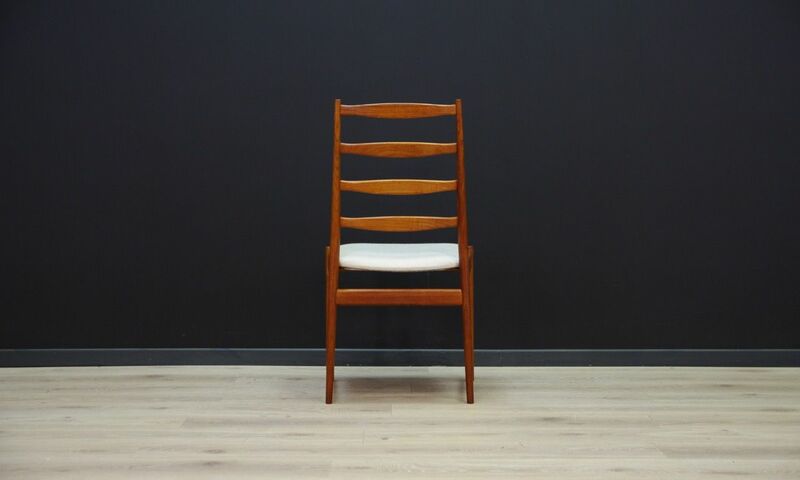 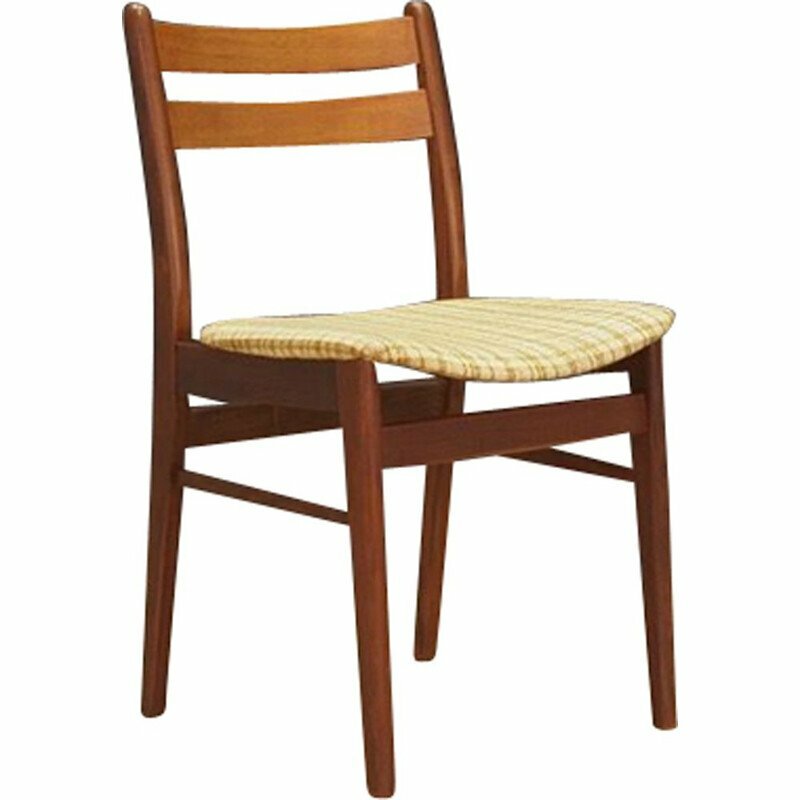 Set of six chairs from the 60s, Scandinavian design straight from the Vamo Sønderborg manufactory. 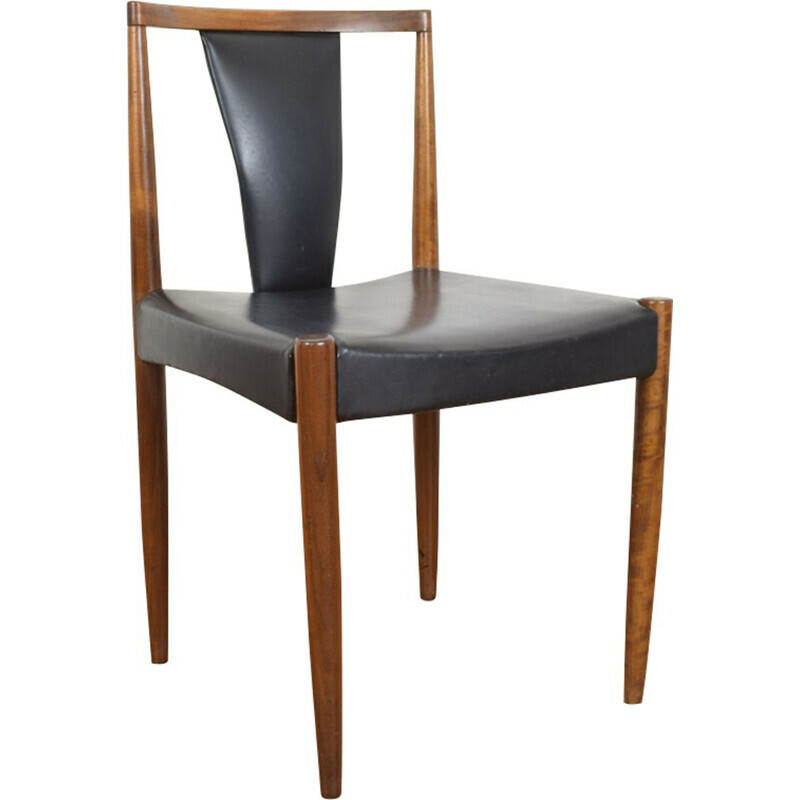 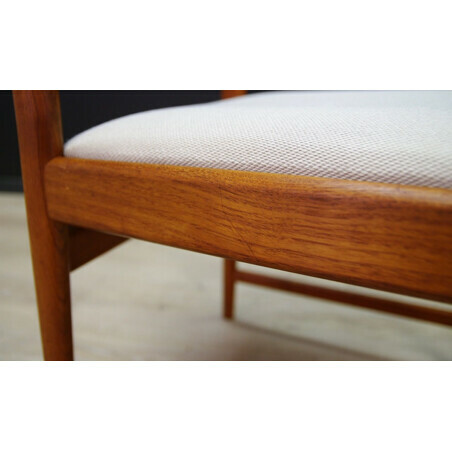 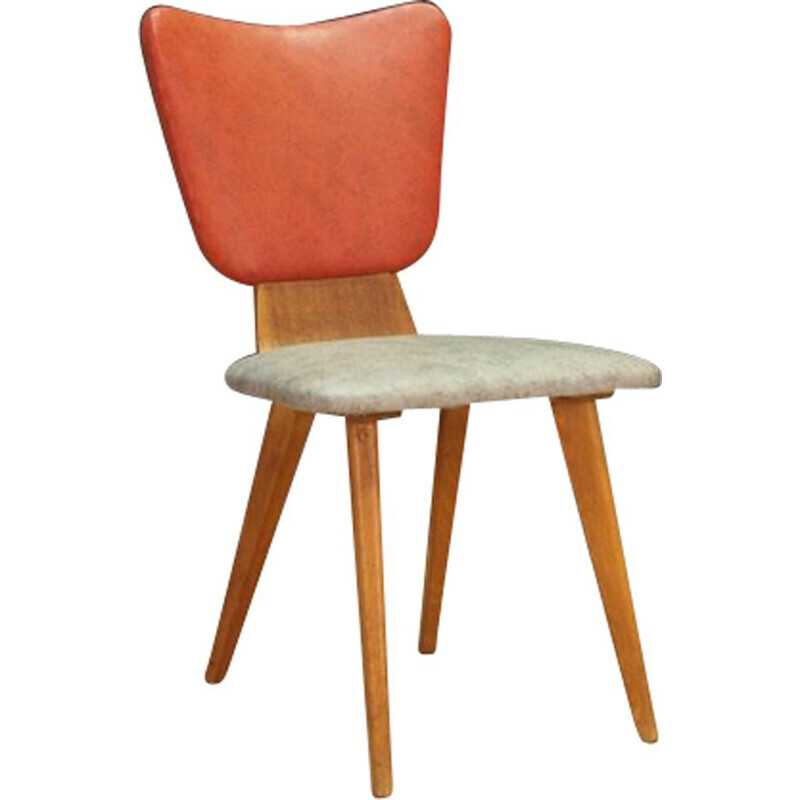 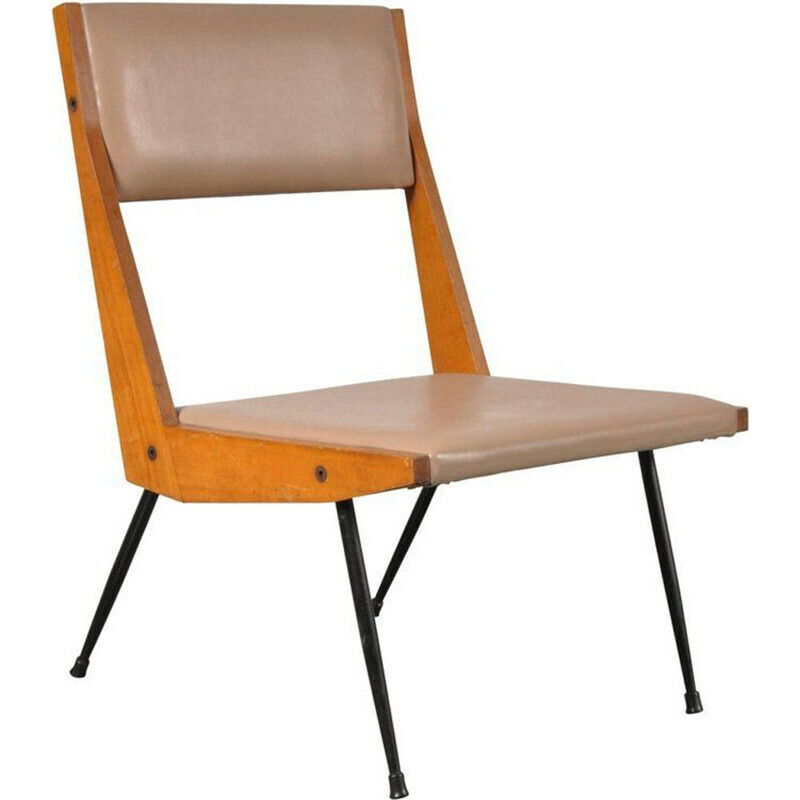 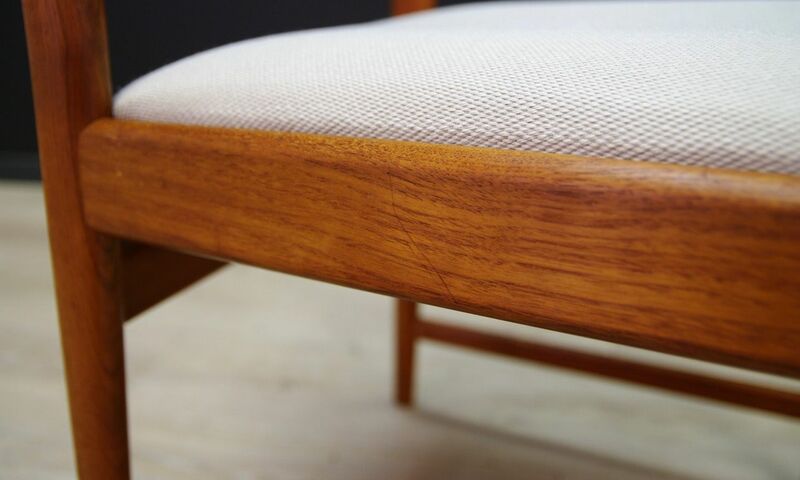 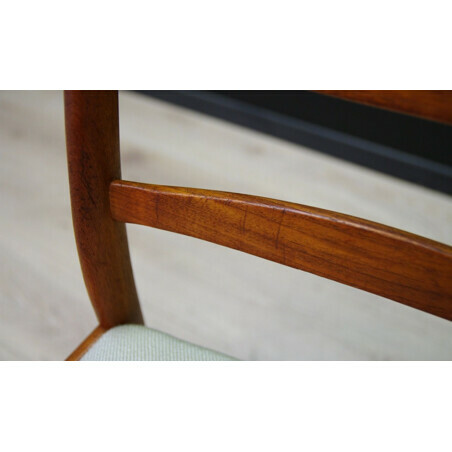 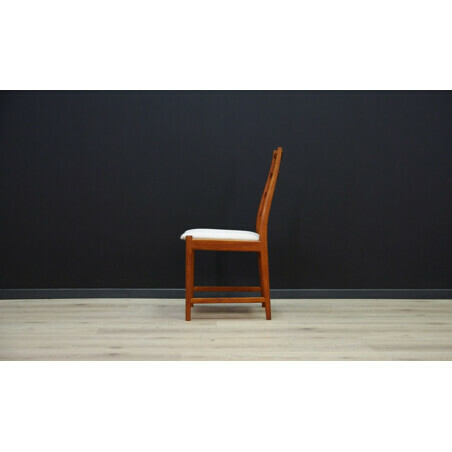 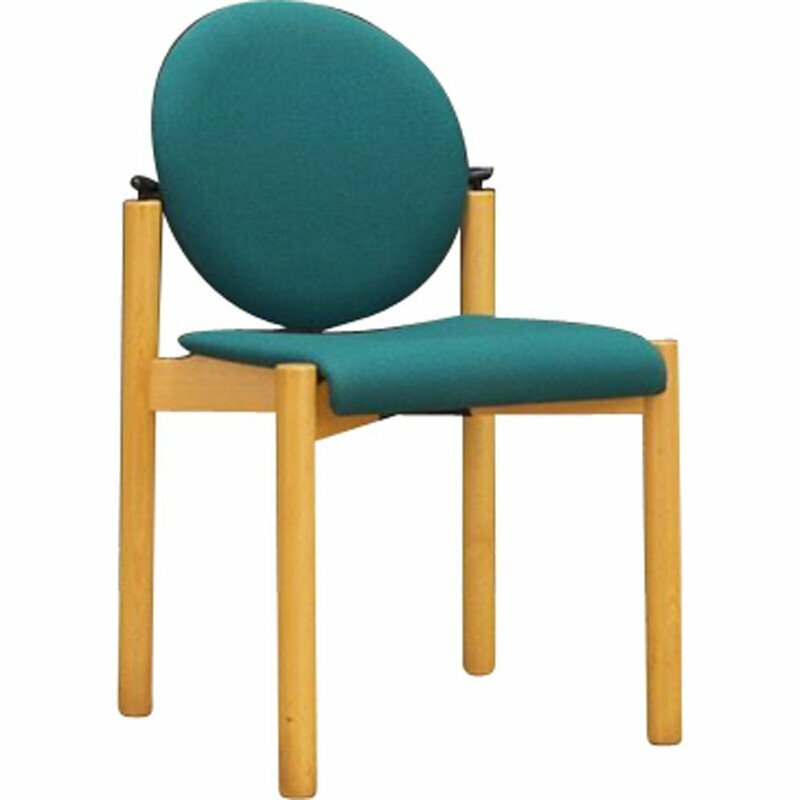 Original upholstery (gray color), construction made of teak wood. 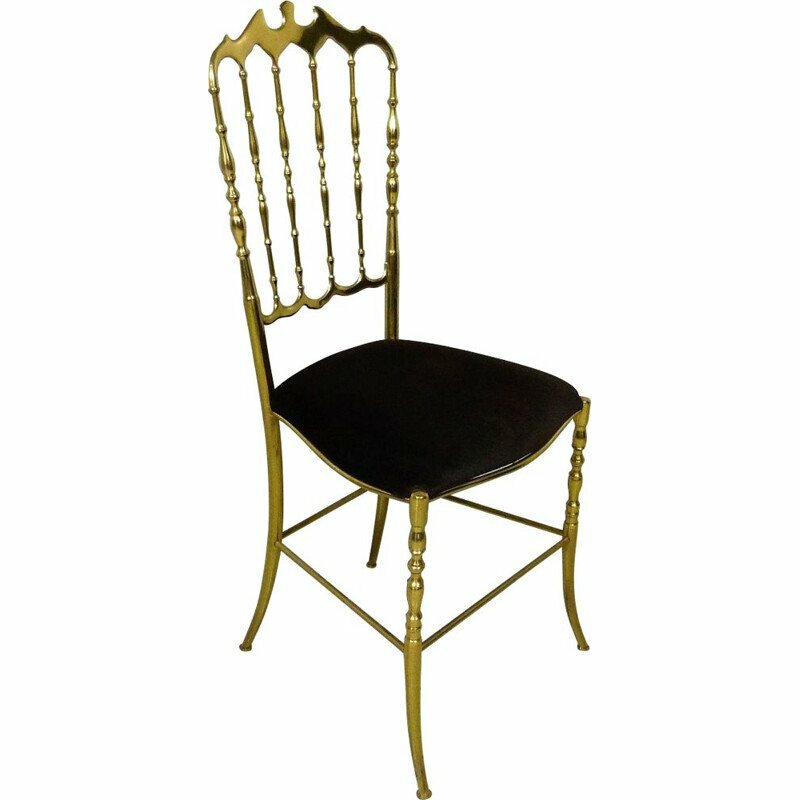 Preserved in good general condition (small bruises and scratches on wooden structure) - directly for use. 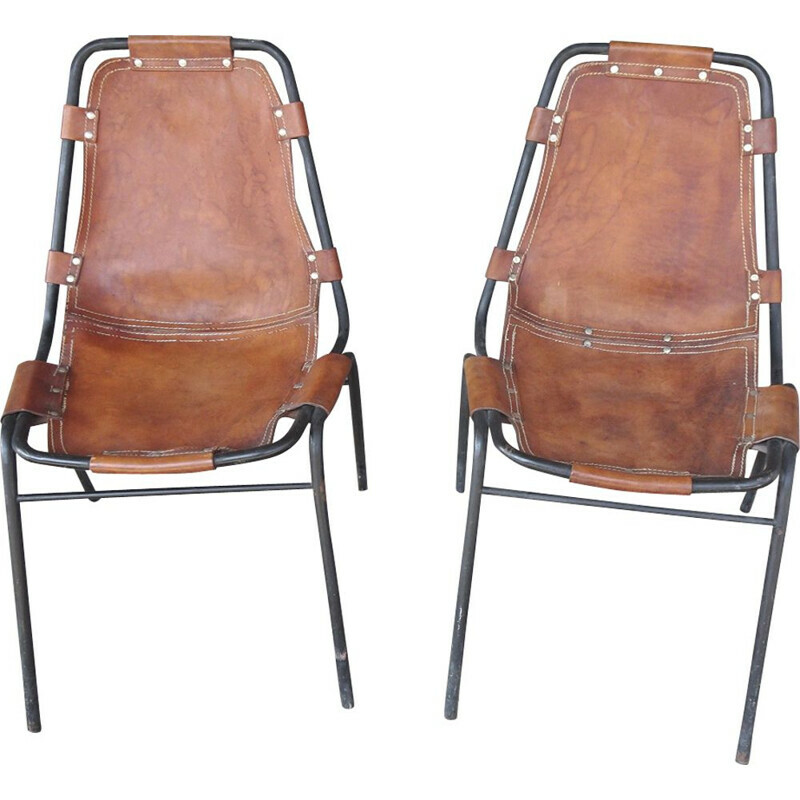 Dimensions: height 90 cm. 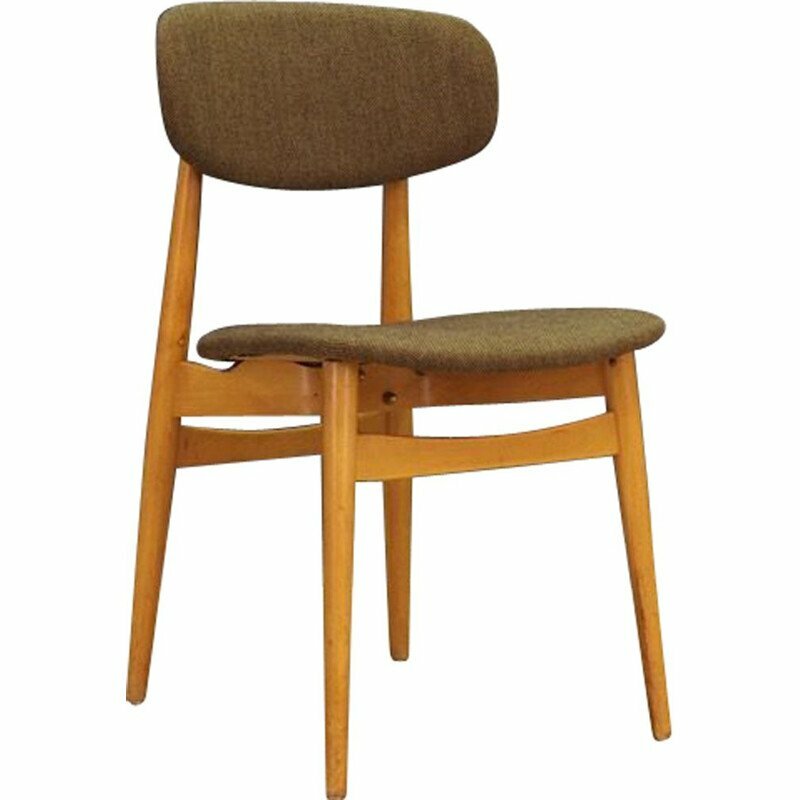 Seat height 42.5 cm. 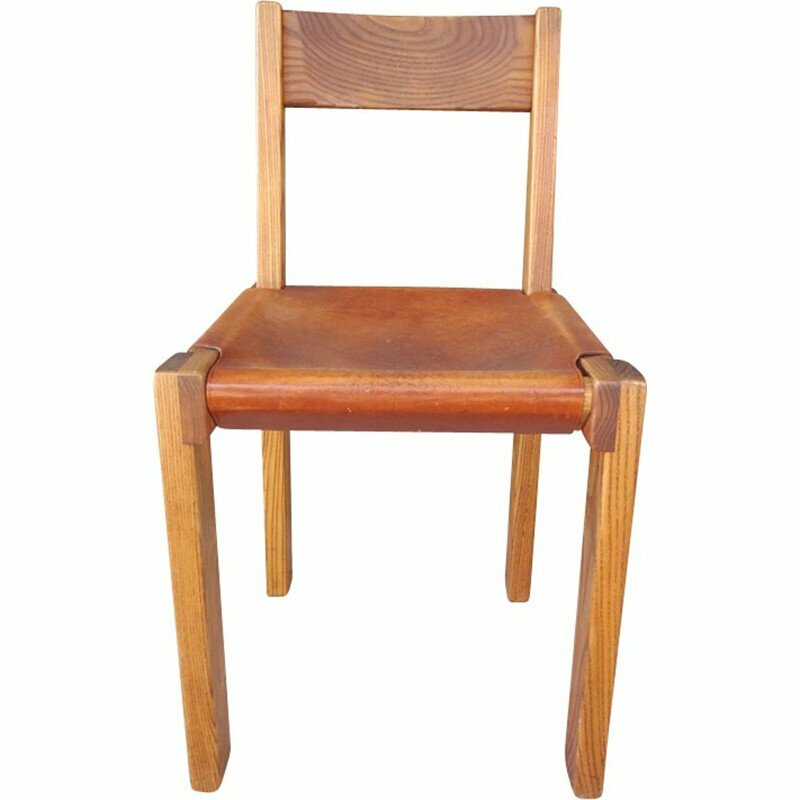 Seat 45 cm x 43 cm. 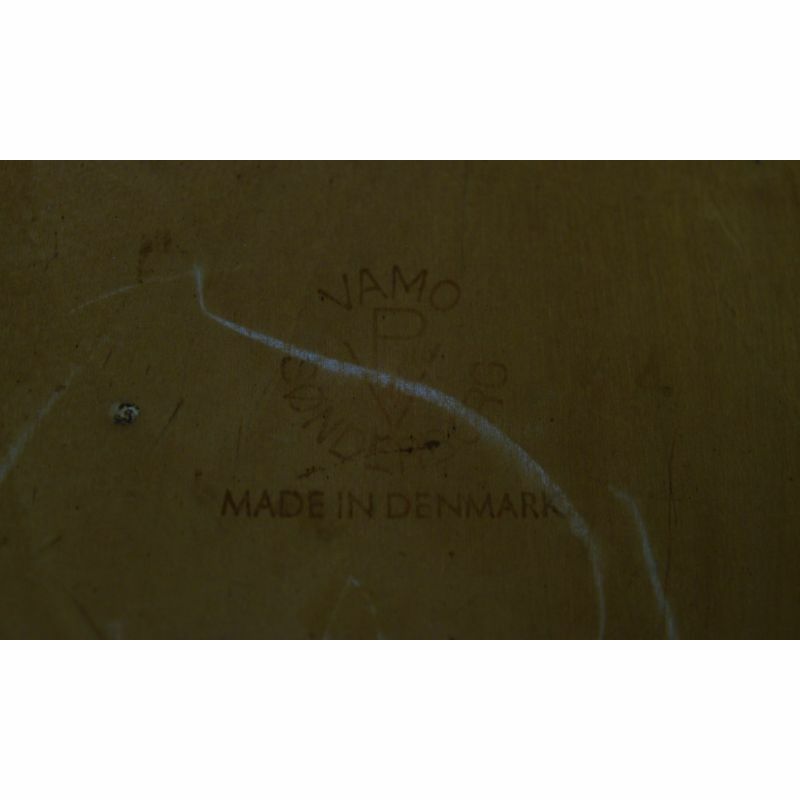 Depth 46 cm. 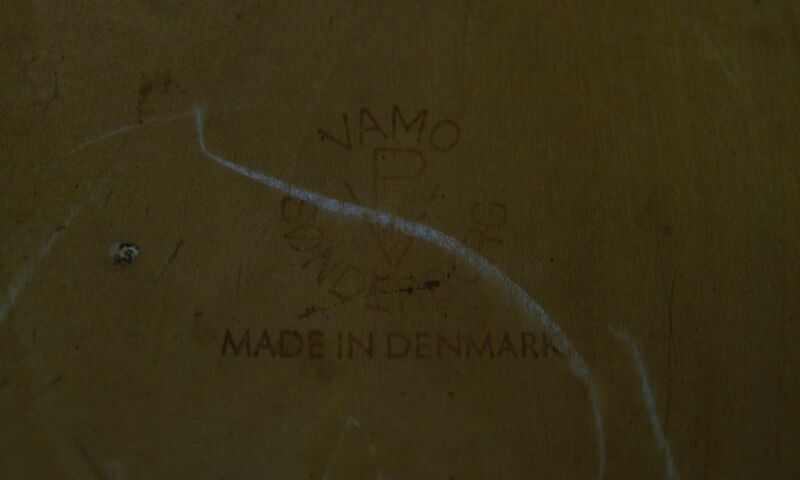 Width 48 cm.